If beauty is in the eye of the beholder, then what should we make of the recent Negotiated Rulemaking for the Every Student Succeeds Act (ESSA)? To those (lucky? insane?) few who attended all eight days of these regulatory debates, “Neg Reg” was both beautiful—a rare and wonktastic event—and, well, not-so-beautiful—72 hours of crawling through the weediest of weeds. Regardless, it was a fascinating example of participatory democracy and a demonstration of the professionalism and commitment of both the U.S. Department of Education (ED) staff and all the negotiators. In this post, I won’t try to recap all the specifics (EdWeek‘s got that covered). 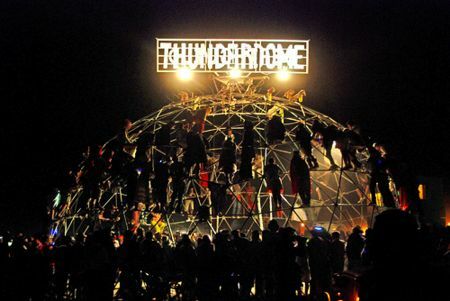 Instead, I’ll offer some musings on a few of the most interesting issues, drawn from my time inside the edu-Thunderdome. Brief overview: With state approval, individual school districts will now be able to select their own high school summative test, provided it is “nationally recognized” and meets all the same requirements applied to the statewide tests. The following were the three most-discussed issues related to this new flexibility. One question was whether a district selecting a new test must then use only that test for all its high schools. Ultimately, the committee decided it should, partially in response to ED stating it would otherwise dissent. Pro-one-test-per-district folks said we must avoid a situation where students at affluent schools take just the SAT or ACT while students at low-income schools are forced to double test, taking the traditional state test for accountability and then still having to take the SAT or ACT for college admissions. Meanwhile, the pro-multiple-tests-per-district folks said we must avoid a situation where an affluent district administers just the SAT or ACT while students in a neighboring, lower-income district are forced to double test. The elephant in the room that wasn’t discussed was why lower-income schools or districts might not take advantage of this option as often or as quickly as affluent ones would. Side conversations pointed to gaps in access to test prep resources and the correlation of income and college admissions test scores. According to this view, lower-income districts and schools simply may not want to jump into a situation where school accountability is based on these tests. Part of ED’s argument in favor of one-test-per-district was about the need to maintain “comparability” of data within a district. ED’s comments suggest they may be inclined to set a relatively high comparability bar in other areas as well, such as ESSA’s innovative assessment pilot. Everyone, including ED staff, seemed to agree that PARCC and SBAC would meet the proposed definition of “nationally recognized” high school assessments. Given the constantly evolving state assessment landscape, this could set up an interesting situation where a local school district petitions its state for permission to use one of these consortia assessments after the state previously decided to withdraw from that same consortium. For all the interest by states, districts, and Congress in using the SAT and ACT for accountability purposes, the Neg Reg rules established two requirements that must be met. First, if these tests are going to be used for federally-required assessments, SWD and ELs must receive all appropriate accommodations they’re entitled to under federal law, which in current practice may not always be the case. Second, the testing companies must treat all scores as “college-reportable,” even if students receive accommodations that are appropriate under federal law but that the companies did not approve. Presumably, these policies will be required not just in the locally selected context but also in the statewide context, although that was not explicitly addressed during Neg Reg. Will College Board and the ACT change their practices on these issues or be forced to give up on the ESSA testing market? Also, the locally selected assessments, like any statewide assessment used to satisfy ESSA’s requirements, must pass the federal peer review process. Neither college admissions test has been reviewed yet, although the ACT should be this spring and the (new) SAT next year because several states are already using them statewide and must pass peer review to continue doing so. The same goes for AP and IB tests, which ED also mentioned as examples of tests that would at least meet the proposed “nationally recognized” definition. Brief overview: Negotiators considered a wide variety of issues related to ensuring equal access for these students. The following are a few meta-observations from these parts of Neg Reg. The negotiation over assessing ELs produced the clearest evidence of why ensuring all stakeholders are represented at Neg Reg is so important. The two negotiators representing “Tribal leadership” successfully advocated for a new exemption for students in those Native American schools where the primary medium of instruction is in their native language. Because of the negotiators’ deep knowledge of relevant federal laws and executive orders, they persuaded ED that these students should be exempt from assessments of English/Language Arts progress in the same way that ESSA explicitly exempts Puerto Rico students from such tests. In several places, the theory of action underlying the proposed rules seems to be that transparency will lead to action, which will increase equity. This played out in (i) requiring states to explain why they are not translating assessments into languages that are present in the state to a significant extent and (ii) requiring districts to explain why they may use the alternate assessment with more than one percent of students even though ESSA places no hard cap at the local level. With several new reporting requirements in ESSA, it will be interesting to watch how this theory plays out across different issues. Brief overview: SNS elicited the most passion and perhaps the most disagreement among the negotiators. The main thrust of ED’s proposed rule was to require districts show that each Title I school’s state and local funds are equal to or greater than the average of the non-Title I schools’ state and local funds. The ESSA regulatory process neither began nor ended with Neg Reg, and my musings will likely be obscured soon enough by new instances of regulatory drama. Indeed, ED’s draft regulations on the sure-to-be-controversial topic of state accountability systems are under review at the Office of Management and Budget right now. Stay tuned. * ED staff managed to avoid this by instead shorthanding “Regulatory Negotiations” as Reg Neg. But before anyone applauds their semantic wizardry, note that they insist not only on using (the deplorable) “E-S-S-A” but also the (possibly treasonous) “the E-S-S-A”.